Early access to three amazing theme parks, staying in top quality accommodation and free entrance to some of Orlando’s best night life – spend the October Mid Term Break at Universal Studios Cabana Bay Resort! I was fortunate to stay in one of Universal Studios’ hotels a few years ago. I felt like a VIP most of the time, to be able to access the parks early, to have free entrance into the nightclubs and when I bought anything in any of the shops, it was delivered back to my room free of charge! Universal Studios have five hotels in Orlando, varying from three to five star. If you fancy staying in one of their luxury hotels, you also get a free Universal Express Unlimited pass, worth up to $89 per person, per day. 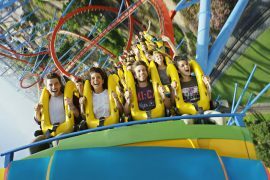 This allows you to skip the regular lines at participating rides and attractions at Universal Studios Florida and Universal’s Island of Adventure. 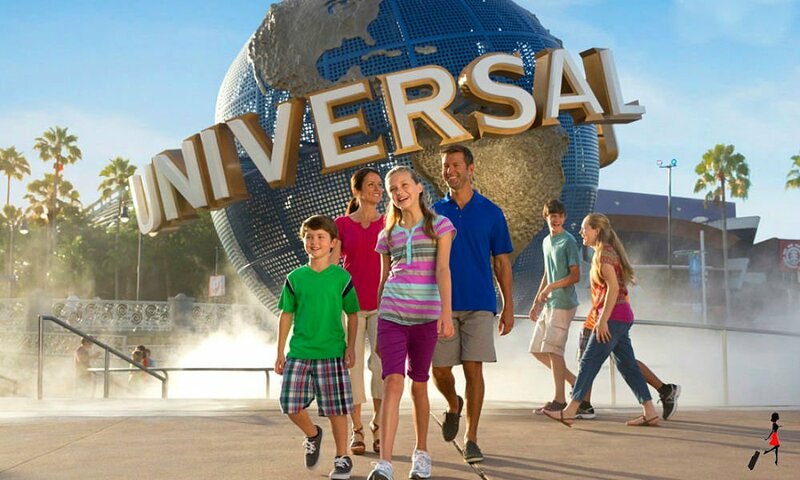 You can see offers on all Universal Studios’ hotels here. Universal Studios now have three parks, Universal Studios, Islands of Adventure and their newly opened waterpark, Volcano Bay. Whether you are a massive movie fan or want exhilarating rollercoaster rides, Universal Studios offers both in abundance. My personal favourite is the The Wizarding World of Harry Potter™. Even if you have never seen the movies, you cant help but be blown away by the attention to detail and the technology behind the scenes. 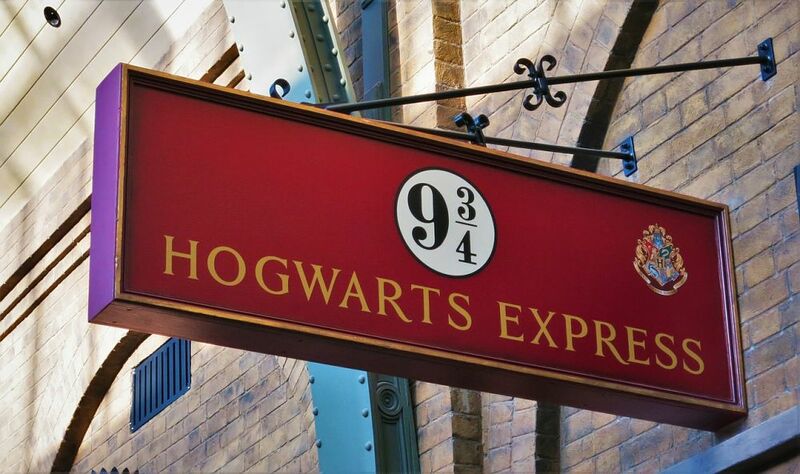 Board the Hogwarts Express from Universal Studios to Islands of Adventure and visit Diagon Alley and Hogwarts, trust me you will not be disappointed. There are lots of cool simulator rides too, Transformers, Despicable Me and Spiderman are just some of the favourites. 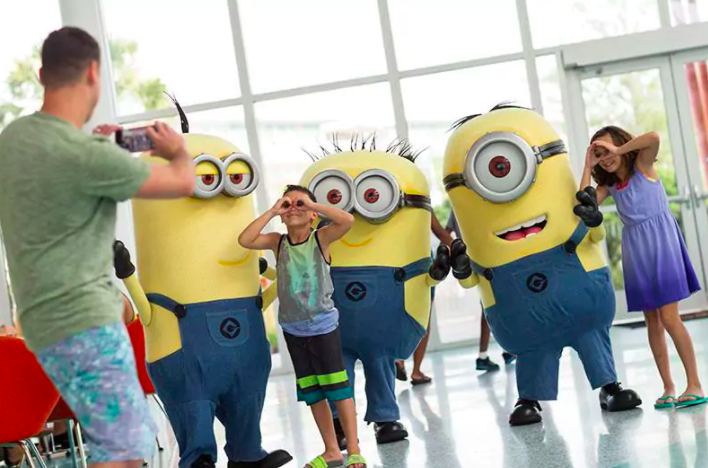 If you are visiting during the Summer, try some of the water rides at the Islands of Adventure or better still visit the brand new waterpark, Volcano Bay. 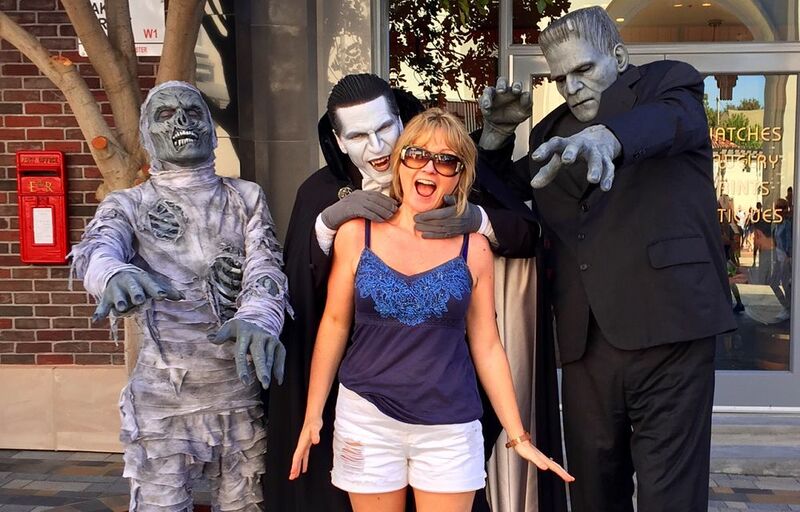 For more details check out my blog on Universal Studios. I found this amazing deal staying in Universal Studios Cabana Bay Resort. I stayed in this hotel and loved it. Although only rated three star, I would say it probably deserves a four star rating. 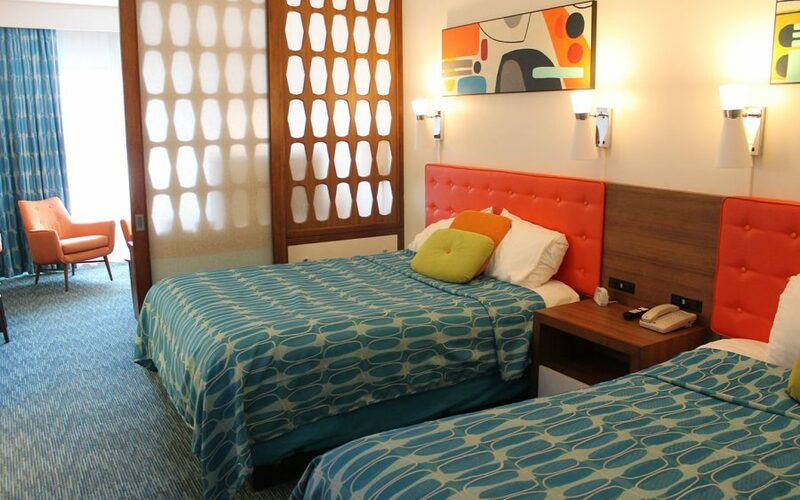 It’s cool retro design resembles beach resorts from the fifties but with a modern twist. The standard rooms are spacious but they also have large family suites that sleep six, with a privacy partition and a kitchenette. The facilities on site are pretty cool too. There are two swimming pools, a lazy river and a large water slide so it might be hard to get the kids to actually leave the pool area! If you fancy chilling out after a day at the parks, you can rent a private cabana for up to six people. It comes with a phone so you can order pizza and have it delivered! The onsite food court has a cool diner offering all the American classics and in keeping with its retro theme, they even have a ten lane bowling alley and an arcade! If staying in Universal’s Cabana Bay Beach Resort wasn’t enough you also get early park admission to experience The Wizarding World of Harry Potter™, complimentary shuttle buses to Universal Orlando® Theme Parks, Universal CityWalk®, Volcano Bay®, SeaWorld®, and Aquatica™, resort-wide charging privileges with your room key, complimentary delivery of merchandise purchased throughout the resort to the hotel and my personal favourite, Universal Orlando® character appearances in the hotel. 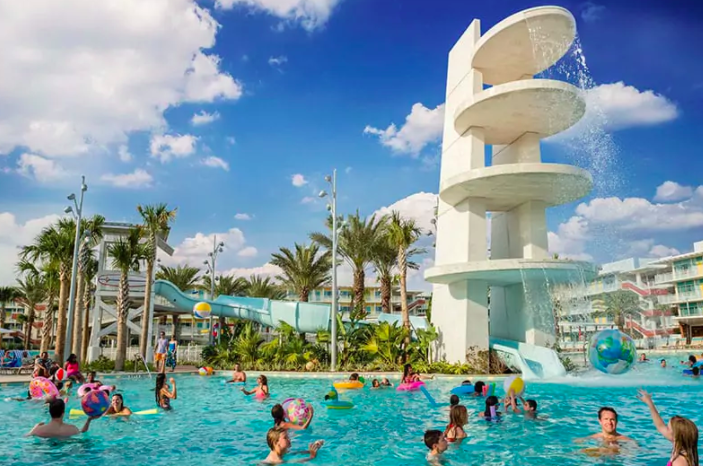 Fly from Dublin to Orlando and enjoy a seven night stay in the Cabana Bay Beach Resort from only €579 over the October Bank holiday weekend, based on 2 adults and 2 children sharing. 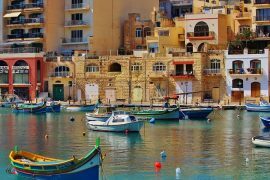 If you want to travel during the Summer months? 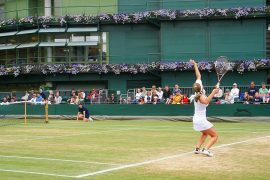 Prices in June are only €529 per person! If you want to stay longer just talk to the dedicated staff in American Sky and they will tailor make a holiday to suit you. All Inclusive Deal to Mexico, Flights & 5* Resort, 2 weeks, July, from €1469! Easter Holidays in 4* Sanguli Resort, Salou, Incl Flights & 2 Day Tickets to PortAventura, 2ad & 2ch €1098! 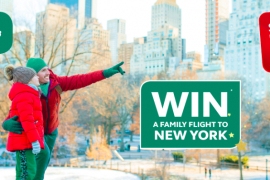 Win Flights for Four to New York When You Convert Your Real Rewards or Money Back Vouchers To Avios! 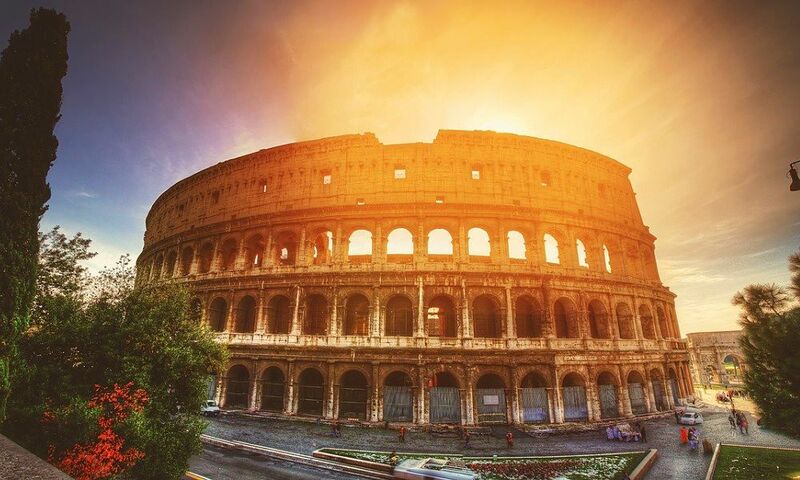 Weekend in Rome, 10th, November, Flights & 4 Star Hotel, 3 Nights, €185! Next articleAmazing Deal to Zakynthos, 13th August, 1 week, Flights, Apartment, Transfers & Baggage, €465!